Trellis is a magi created by Whyrl, and this image is one from her collection. Nar needed a boost to their Arctic capabilities and this magi attempts to do that. 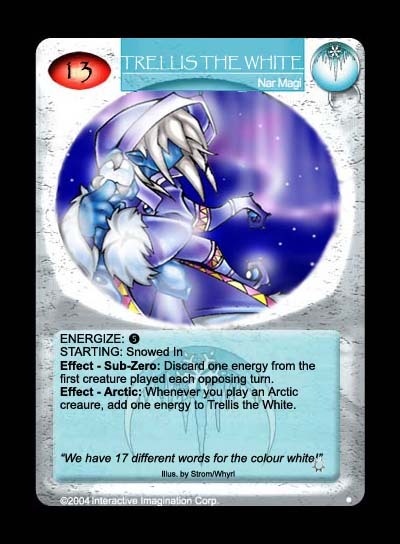 The energize is low for a Nar magi because of the Arctic effect on her which adds energy as creatures is played. She also has the a modified version of Magam's ability to (cold) burn the first creature played during an opponent's turn.